Completed in 2005, the Icon South Beach is a 40-story s-shaped high-rise that towers over beautiful Biscayne Bay from Alton Road. Here, renowned architect Philippe Starck and legendary developer Jorge Perez combine form and function to deliver a luxurious lifestyle enhanced with city and water views from every room. The Icon’s 289 residencies are made up of 1 to 6 bedroom condos offered in 9 distinct floor plans that are designed to suit a variety of tastes. Regardless of which you choose, all of them include the most luxurious features imaginable, such as walk-in closets, European cabinetry, 9-foot high ceilings, and expansive terraces. While each condominium was built to the tastes and specifications of the original buyer, nearly all of them include marble or high-quality porcelain in every room. Furthermore, residents enjoy state-of-the-art kitchens with granite countertops, custom cabinetry, and elegant bathrooms with marble throughout. 24-hour security, valet parking, and concierge services. High-speed elevator, 9 feet ceilings throughout, 8-foot solid core doors and floor-to-ceiling hurricane impact windows, tinted for privacy. The building also offers expansive balconies, wireless Internet "Hot Spots" in the lobby, recreation room and pool area. Digital cable in all units, with HBO included. 1, 2 and 3 bedroom condo units, SubZero and Miele appliances, bathroom fixtures by Philippe Starck, and semi-private elevator access to each unit. 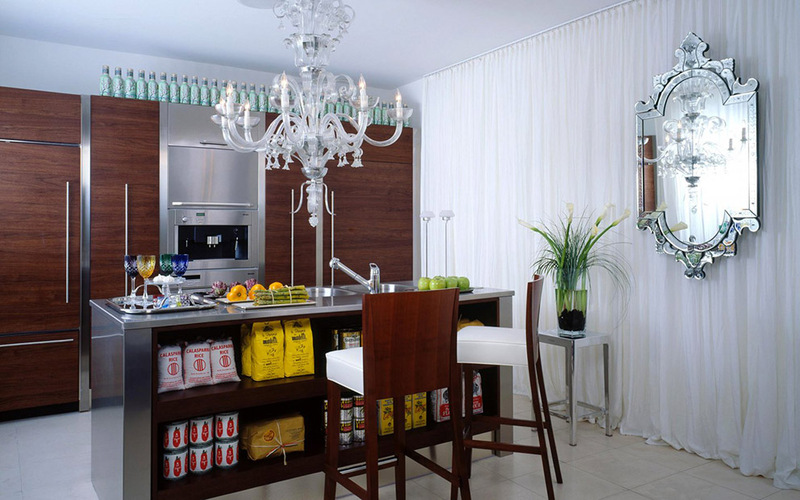 Gorgeous kitchen cabinetry by Dellacasa, breathtaking marina, and nearby ocean views. Choice of one to three bedrooms. Nine unique floor plans. Cable and broadband. 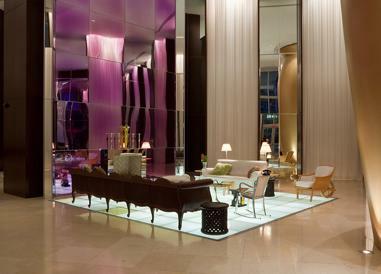 Four distinctive Philippe Starck interior color schemes. Nine-foot ceilings. 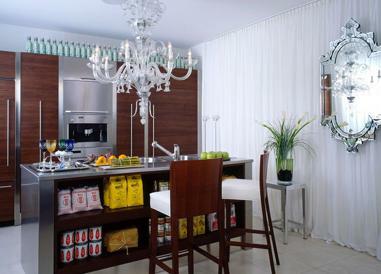 Philippe Starck designer kitchen fixtures. European cabinetry. Marble bathroom flooring. The option of marble or granite countertops. Appliances by Miele. Tinted and tempered glass windows. Sub-Zero built-in refrigerator-freezer. Miele appliances. European custom cabinetry. Marble or granite countertops. Philippe Starck fixtures. Fine European cabinetry. Marble flooring. Heated bayfront lap pool and whirlpool spa. Elevated Infinity edge bayfront swimming pool. Resident Cafe overlooking the bay. Pool Bar and Grill serving up fun casual fare. Spacious Health Spa and Fitness Center equipped with Sauna and Steam Room. Porte-cochere entry with 24-hour complimentary Valet Parking. State-of-the-art building completely wired for high-speed cable modem Internet service to handle all of your technological needs. Concierge staff offering premier hospitality service. Housekeeping service. Laundry and Dry Cleaning. Business Service. 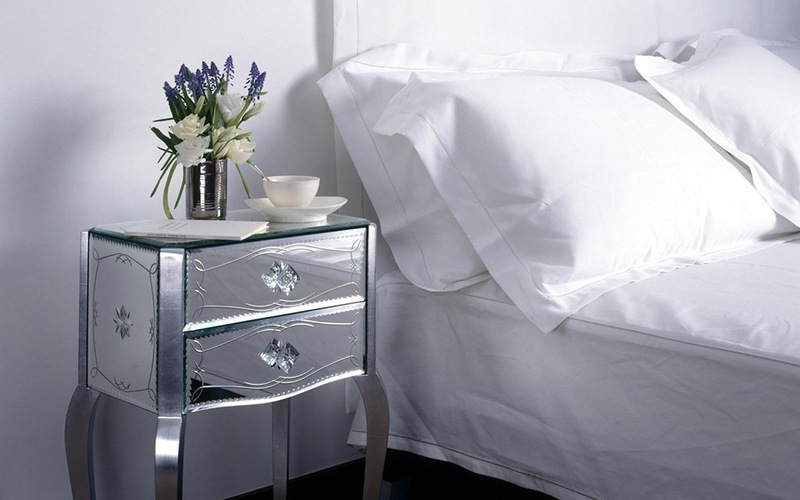 Philippe Starck and YOO Ltd. designed finishing package to help simplify your moving experience. Four themes to choose from to enhance your lifestyle. 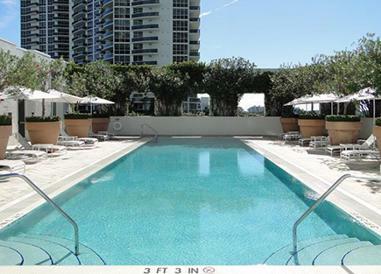 Icon South Beach has a business center where you can take care of your business while we take care of your comfort. Icon has two amazing pools where you can soak up the sun, relax whenever you want and enjoy breathtaking views. Icon café is the best place to start your day on the right foot, enjoy our services and breathtaking views of the bay. Enjoy with your friends at Icon Billiard Room where you will be served by our staff. Sq Ft Range: 851 - 2,158 Sq. Ft.